Perspectives of Wireless Marketing Wars Who will Be the Winner? According to the research held by analytics company Canalys the market of “smart” mobile devices in Europe, Near East and Africa grows more rapidly than market of mobile phones. Within the first half of 2005 9.6 million of smartphones and PDAs were sold compared to 3.6 million during the same period of the previous year. Such trend is observed worldwide almost 70 million full feature handsets are sold worldwide. According to analysts the two main processes in progress stipulate such growth at the moment. On the one hand, ordinary users interchange their old smartphones and PDAs to newer ones. On the other hand, there is an upsurge in interest in mobile E-mail and extended abilities of smart mobile devices from companies and corporations. “Symbian: more important in the future, but still niche market (Nokia market share ca. 33 % overall; not more than 1/3 of this Symbian phones & some other Symbian phones). Overall optimistic estimate: ca. 10 % of total newly sold phone base. BlackBerry: interesting for business / productivity applications; no mass market. WindowsCE: difficult to judge. Microsoft will keep pushing it’s platform, but results were often unsatisfactory in the past; make sure that the partners can actually bill for applications delivered to this platform. We’ve seen problems with this. 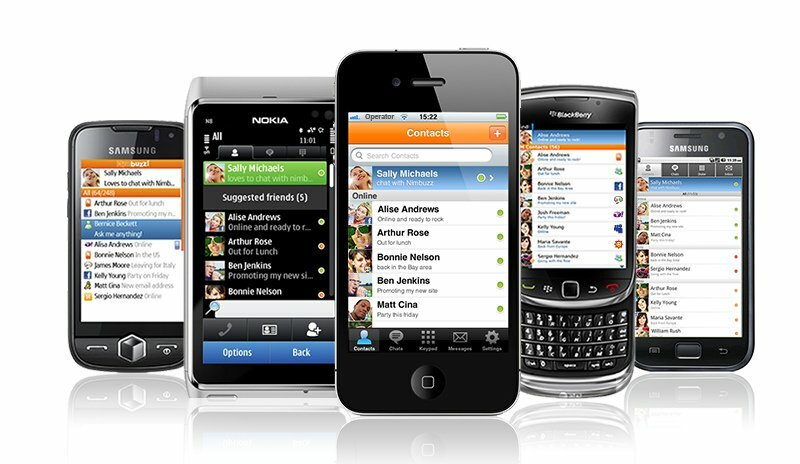 Symbian OS maintains its position as the industry’s leading operating system for phones designed for 3G networks. At the end of Q4 2005, 22 Symbian OS phones (38% of the Symbian OS models shipping) were developed for 3G networks, across Europe and Asia. SYMBIAN is a software licensing company that develops and supplies the advanced, open, standard operating system Symbian OS for data-enabled mobile phones and PDAs. User Inputs generic input mechanism supporting full keyboard, 0-9*# (numeric mobile phone keypad), voice, handwriting recognition and predictive text input. BREW – Binary Runtime Environment for Wireless is a combination OS, application platform, and marketing system. BREW started with QUALCOMM-based CDMA chipsets and technology a vast market but BREW is independent of the wireless technology utilized by a particular handset or network and can support other wireless technologies. Ideally, BREW can work with any device, and Qualcomm is planning to port it to Global System for Mobile Communications (GSM). Qualcomm is trying to remove the gap between GSM and CDMA operators. As CDMA strengthened hand, the GSM lobby propped its own version of CDMA which they named WCDMA (Wideband CDMA). WCDMA has been launched in a group of countries (80 operators in 29 countries), and many more are gearing to launch it within this year, it is already successfully running in countries like Korea, Japan, China, India, Brazil and in some parts of North America. So far prevalent in the CDMA domain, BREW is gradually transiting to the GSM bastion of Europe as the continent’s operators introduce 3G services based on WCDMA (by the end of year 2005 the number of WCDMA networks users worldwide increased by 2,6 times compared to December 31, 2004 and reached 43,81 million users). Such a scenario could make Qualcomm a worldwide flag carrier in mobile market. In all, 40 commercial BREW device manufacturers (Audiovox, Kyocera, LG, Motorola, Nokia, Samsung, BenQ etc.) offer over 135 BREW-enabled devices as of January, 2006 according to Qualcomm. Almost 10% of all handsets shipped worldwide are BREW compatible and the number of application downloads (May 2005) exceeds 300 million. The success of BREW has been built on CDMA platforms of major mobile operators, including Verizon Wireless, China Unicom, Telstra and KDDI. BLACKBERRY is a proprietary operating system, provided by RIM (Research in Motion, Canada), for the BlackBerry devices and BlackBerry enabled devices (BlackBerry email is already on a few handsets including Siemens SK65, Nokia 6820/6822, Motorola MPx220). BlackBerry is one of the leading wireless solutions, which allows users to stay connected with wireless access to email, corporate data, phone, web and organizer features. The true power of BlackBerry is mailbox integration. BlackBerry can integrate seamlessly with a user’s existing corporate or personal email account providing a wireless extension of their regular e-mailbox. RIM develops its own software for its devices, using C++ and Java technology. Third party developers applications must be digitally signed, that guarantees the application authorship. Available services are: Wireless Email Service, Wireless Calendar Service, Wireless Internet (HTML and WAP formats) Services, Voice and SMS, Mobile Data Service, Attachment Service, Instant Messenger, GPS Service, Bluetooth etc. The full feature handsets market is hard to predict, however almost all analysts predict steady and increasing growth of this market (which is observed at the moment). Each manufacturer aspires to create a common OS to globalize and standardize application development, distribution and management (as they say) to develop applications for all but not for each distinct device. Some people welcome such opportunity and some are bothered by possible monopolization and subsequent abuses in this domain. What is observed at the moment that each of the manufacturers had occupied a distinct characteristic niche, where he is successful, and already from there with mixed success tries to “conquer”the mobile wireless world. “BlackBerry? One of its main advantages is an advanced ergonomics both of the device itself and its software. The user interface, as of today, I suppose, is one of the best among developed for PDA devices. While its main disadvantage is absence of memory card. Absence of the latter means that it can not be used for other purposes, it is narrow directed. I use my Symbian as MP3 player and to watch movies. I will not be able to use BlackBerry for that even if I want to. BlackBerry is convenient only for business domain, I guess, while Symbian also can be used as a game platform, and its a rather essential part of users who use it that way. BREW, from my point of view, has no bright future at all. J2ME is that well-developed that nobody pays attention to BREW. Furthermore, all BREW applications are to be certified, that complicates their usage and distribution,”- says Alexei Golovashov, QArea’s Senior QA Engineer. 3GSM is the latest addition to the GSM family. 3GSM enables the provision of mobile multimedia services such as music, TV and video, rich entertainment content and Internet access. The whole world, and wireless market in particular, moves toward high speeds, multiple functions and extended business possibilities. 3G networks is the next inevitable stage of mobile market development. It provides plenty of capabilities both for business and entertainment, communication and data transfer, Internet access and mobile e-mailing. Most of 3G devices should combine all available 3G technologies to be competitive. This factor will also affect the development of devices and operating systems for them. As we can see, the mobile market requires a device that could fullest reveal the capabilities of next generation mobile networks 3G and 4G. These numbers are dramatic confirmation of 3G leading position: 173 Commercial 3G Operators in 75 Countries worldwide (as of February 02, 2006), over 228 million reported 3G CDMA subscribers (as of November 30, 2005), 826 models of 3G devices worldwide. The industry standard for 3G wireless networks consists of 5 operating modes three of them are based on CDMA technology: CDMA2000, WCDMA (UMTS) and TD-SCDMA. In this light BREW OS has a great opportunity to become a leader, though Nokia 6680 under Symbian OS is a 3G world bestseller telephone. The services by 3G carriers are quite actual already 80% of British mobile users are ready to pay for mobile TV service, nothing to say about GPS, high-speed packet data access and high quality voice services. Still large companies, financial giants, transnational corporations and government institutions adhere to the tried technologies they use BlackBerry undisputed leader in enterprise mobile solutions for mobile professionals and seek no alternative for it. However, if You still want an alternative for You BlackBerry You should be set for paying a pretty penny of some $500 for a new device and a new connection and it is not easy at all to find an equal substitution. Microsoft is preparing their new mobile operating system Crossbow which is to replace Windows Mobile 5.0 launched in May 2005. Crossbow will have both Push Email and built in Internet Pager, thus Crossbow will provoke competition to BlackBerry OS. Microsoft aspires to get over Symbian and BB at a time and we know how this usually results. New product will take time to be tested to make sure it runs smoothly in operator’s networks. After all, will operators agree to update their software and servers for new applications to run properly? Much also depends on marketing and promotion: Symbian’s operating system is used in many top-end business phones today, because of its support for features such as PIM, voice-conferencing, push email and Web access. Nokia phone stands for world recognized brand and image phone and it does pay dividends. To have Nokia’s smartphone is almost the same as to drive Mercedes. This is a niche market, all around. We say Europe we mean Symbian, we say USA we mean Windows Mobile, BlackBerry and BREW. BREW is limited to CDMA markets (US and Chinese markets), Blackberry is closely tied to business and corporate clients, Symbian is prevailing mainly in Europe: it turns out they have nothing to “brew”. I hope none of them comes to dominate, since that is a recipe for stagnation; the 3 equally balanced would be perfect for fair competition and product development. We can not provide adequate predictions for someone’s success or failure. It will be just a forecast.